I found this a truly moving story about a young woman’s battle with abandonment, abuse, the search for love and a sense of self-worth. Written in the first person, Danae’s journey is told in a very real and moving manner. Her character is well developed, believable and engaging. The characters around her; friends, mentors, those who believe in her, as well as those who torment and abuse her, are equally engaging and real, even though the reader has nothing of their POV. I thought this was very well accomplished. Danae’s relationship with music, through the learning process, the discovery of her giftedness, its healing power, is beautifully presented and authentic. It suggests Trudy Adams has a good knowledge of music or has done her research well. A quote from the book that I loved was; Music’s not meant to be understood, only relished. It is its beauty, not its mechanics, that heals. I also thought the journey in relationships, both with her friend, Kristin and with her step sibling, Kirra-lea, was sensitively written with a genuine understanding of the struggle to trust, to love and to be loved, that would be present in the life of girl so damaged in childhood. Trudy has written in a way that arouses deep feeling in the reader. The story hides none of what should outrage us about the mistreatment of children, but also leads the reader towards the hope of good coming out of bad, and the place faith in God plays in such a journey. The genuine ups and downs of this journey are gripping and give the story intrigue and tension that keeps the reader turning the pages. I believe this story is one that will challenge and move any reader, but would be particularly inspiring for anyone who has experienced foster parenting or mistreatment as a child. The Christian message is authentically present but not forced or overdone and I believe a non-Christian reader would benefit equally from the message from this book without feeling preached at. Carol writes historical novels based on her family history, set in the early colonial days of Australia. 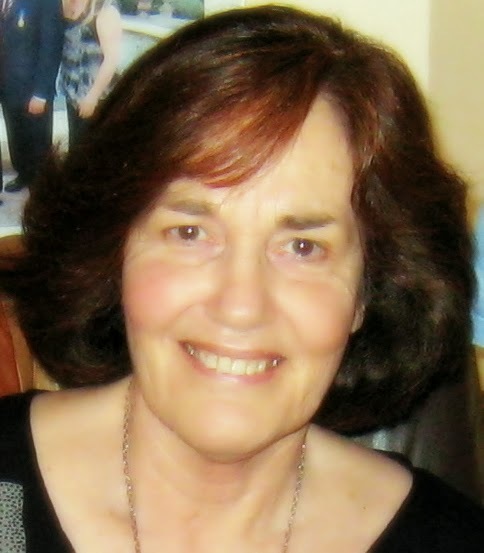 You can see more about Carol and her novels on her website, Amazon page or FB page. Hi Carol. I think your review is great. It tells me what you enjoyed and what gripped you without telling the plot like so many do. It sure sounds like a book worth reading. Thanks. Thanks Rita. I do think it's a book worth reading. Really enjoyed it. Carol, this book sounds like a fascinating read. Thanks for sharing your thoughts.